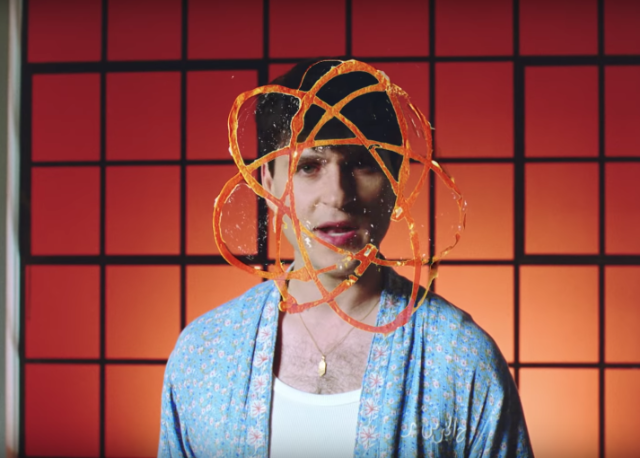 Vampire Weekend have posted a video for their recent single “Harmony Hall,” the first release off their upcoming fourth album Father of the Bride. The clip, directed by past collaborator Emmett Malloy, features Ezra Koenig and the rest of VW (and Dev Hynes and Ariel Rechtshaid) stalking around staring into a warped lens and playing in a candlelit room. These scenes feel like an implicit tribute to music videos from the era that “Harmony Hall”‘s sunny breakbeat recalls (the mid-to-late 1990s). Koenig also makes some funky, rune-shaped pancakes while a snake pokes around nearby (“wicked snakes inside a place you thought was dignified,” as the song goes). Jonah Hill shows up and gets fed one. Ultimately, there’s some fireworks and celebration—a fun video for a fun song, more or less. Father of the Bride is still set for a spring release this year, but no date has been announced. They will begin a North American tour in late May. Despite all this, David Crosby still has no idea who they are. Watch the “Harmony Hall” clip below.